A new board joins the family! Say hello to Unduino1284p! 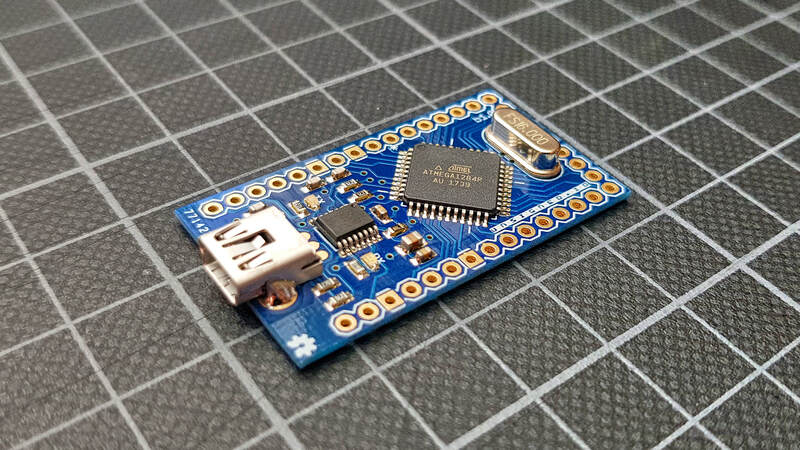 This mini-sized Arduino-compatible MCU board is really compact but still very powerful, and most important of all, super easy to use. Sporting the ATmega1284p processor, it offers lots of IO pins, 16 kilobytes of RAM, 128 kilobytes of flash, high-precision ADCs, and much more. It is USB-powered, and connects directly to a host over USB for programming and serial communication. It measures less than 5×3 centimeters. It’s truly a great board in a form factor that will fit into almost any project. It is also easy to place it in a breadboard for development. All pins of the ATmega1284p are broken out on the board. I’m currently testing the latest revision of the design, and so far it is looking like everything is going to check out, which means that these should be available in my shop in a week or two. If you have any questions, post them in the comments!